Wilson Sonsini Goodrich & Rosati (WSGR) is a law firm in the United States that specializes in business, securities, and intellectual property law. The firm's Senior Partner and Founder Larry Sonsini, is well known as an attorney and advisor to technology companies. Keenan provides innovative insurance and financial solutions for schools, public agencies and health care organizations.We are the experts you can rely on when it comes to employee benefits, risk management, claims services, and technology. First Republic Bank provides lending, deposit, investment, trust, cash management, foreign exchange, and brokerage services. Private Asset Management Magazine named First Republic Bank as the Best Private Bank in North America. The company was founded in 1985 in San Francisco and has more than 60 offices on the West Coast and in the Northeast. First Republic Bank currently employs over 4000 employees. TriNet is a cloud-based professional employer organization for small and medium-sized businesses. Pacific Management Services is a professional consulting and engineering firm with over 30 years of experience specializing in environmental health and safety regulations. This reliable company helped thousands of California businesses comply with federal, state, regional and local regulations. Their qualified staff of professionals is dedicated to providing the best compliance services available while not breaking the bank. Since its inception, Pacific Western Bank strives to deliver solutions to the communities they serve that are as unique as their vast variety of clients. They offer banking services such as cash management, checking and savings, online banking, and personal banking. This trusted bank has a proven track record of delivering a level of service, expertise and speed of execution that is unmatched in our industry. Rosendin, founded in 1919, is one of the largest electrical contractors in the United States employing over 6,000 people. The company has gained leadership in building quality electrical and communications installations. Rosendin Electric, Inc. is headquartered in San Jose, CA, and has branch offices in San Francisco, Sacramento and Orange County, CA, Tempe, AZ, Hillsboro, OR, Las Vegas, NV, Honolulu, HI, Charlotte, NC and in the Washington, DC and Baltimore, MD metro markets. QuinStreet, Inc. is a publicly traded marketing company based in Foster City, California. Morrison & Foerster LLP provides legal advisory services. The company's lawyers give particular emphasis on securities, intellectual property, financial services, class action defense, consumer products, antitrust, and white-collar criminal defense litigations. It has a global network of 16 offices located in key technology and financial centers in the US , Asia, and Europe, and its clients are some of the largest financial institutions, investment banks and technology and life science companies. Morrison & Foerster LLP was founded in 1883 in San Francisco, CA. At Financial Engines we provide objective, fee-based financial advice and asset management, with an aim to help you build a better financial future, plain and simple. San Francisco is a unique and breathtaking metropolis. Valent U.S.A. Corporation develops, produces, and markets crop protection and pest management products for agricultural and professional products in the United States and Canada. Its agricultural products include herbicides, organic products, bio rational products, insecticides, fungicides, plant growth regulators, pre-harvest coatings, and seed protection products for crops. The company also provides herbicides, insecticides, fungicides, plant growth regulators, bio rational products, and organic products for aquatics, golf course and turf, greenhouse, nursery, lawn and landscape operations, and industrial vegetation management. Its products are used to protect agricultural crops, enhance crop yields, improve food quality, beautify the environment, and safeguard public health. The company sells its products through distributors. 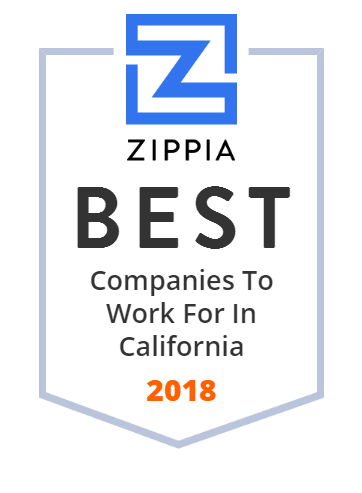 The company was founded in 1988 and is based in Walnut Creek, California with additional offices in Walnut Creek and Fresno, California; Longwood, Florida; Mahomet, Illinois; and Collierville, Tennessee. Valent U.S.A. Corporation operates as a subsidiary of Sumitomo Chemical Co. Ltd.
DPR Construction is a commercial general contractor and construction management firm based in Redwood City, California. Orrick, Herrington & Sutcliffe LLP is an international law firm founded in San Francisco, California. It is focused on serving companies in the technology, energy & infrastructure and financial sectors globally. VSP Vision Care is a vision care health insurance company operating in Australia, Canada, Ireland, the US, and the UK. The Federal Reserve Bank of San Francisco, established in 1913, is one of Twelve Reserve Banks responsible for setting the nation's monetary policy, supervising banking institutions, ensuring their stability and compliance with banking regulations. The bank is headquarted in San Francisco with branch offices in Los Angeles, Seattle, Portland, and Salt Lake City, and a cash processing center in Phoenix. The bank states that its mission is to promote low inflation, full employment, and financial stability. Berkeley Research Group, LLC (BRG) is a global strategic advisory and expert consulting firm that provides independent advice, data analytics, valuation, authoritative studies, expert testimony, investigations, transaction advisory, restructuring services, and regulatory and dispute consulting to Fortune 500 corporations, financial institutions, investors, major law firms, and regulatory bodies around the world. Founded in 1777, City of San Jose operates under the council-manager form of government, a system that combines the policy leadership of elected officials in the form of a city council, with the managerial expertise of an appointed city manager. The city is located in Santa Clara County at the southern edge of the San Francisco Bay. The government provides an array of services to meet the community's expectations. Formed in 1987, Advantage provides business solutions to manufacturers and retailers. It offers a customizable suite of technology-enabled sales and marketing solutions designed to drive consumer demand, increase sales, and achieve operating efficiencies. Advantage prides itself with its collaborative, responsive approach that enables the organization to develop tailored solutions that address specific needs and maximize results. Advantage excels at providing solutions that are flexible, scalable, and able to evolve as business partnerships grow. Matheson Dedicated Routes provides local, intermediate, and long haul ground handling services on and near 28 airports. This family-owned and operated company has successfully grown to a workforce of more than 1,300 dedicated employees since its inception with a revenue of up to $1 billion. LegalZoom.com, Inc. is an online legal technology company that helps its customers create an array of legal documents without having to necessarily hire a lawyer. Available documents include wills and living trusts, business formation documents, copyright registrations and trademark applications. The company also offers attorney referrals and registered agent services. With over 25 years of experience, AMN Healthcare has built a reputation of excellence for its unique ability to provide thousands of highly-trained nursing, physician and allied health professionals across a broad continuum of specialties and assignment lengths. AMN Healthcare provides workforce management services as it strives to be the most trusted, innovative, and influential force in helping healthcare organizations provide a quality patient care experience that is more human, more effective, and more achievable. Westin Technology Solutions assists utilities in aligning their systems with their business strategies and maximize their control systems. American Vanguard Corporation operates as a holding company. Lin International is a global, multi-disciplinary infrastructure services firm. SASCO operates as an electrical contractor and construction industry consultant. It also offers low-voltage system technologies. The company provides pre-construction services, including design assist/build collaboration and material procurement. It also provides data systems integration solutions, including physical infrastructure and design; site analysis; data center design; outside cable plant; project management; pathway design; maintenance and support services; and wireless, as well as LAN/WAN consulting, design, and implementation. It offers technology system solutions, including audio visual systems; security systems; MATV systems; IP telephony/VoIP; unified communications/messaging; data/contact centers; security/access control; IP surveillance/CCTV; videoconferencing; wireless/mobility; RFID; and asset tracking/management systems. In addition, the company provides project management services. It serves clients in the United States and internationally. The company was founded in 1967 and is based in Fullerton, California with additional offices in the Western United States. It has facilities in Southern California; and Woodinville, Washington. Aricent is a global design and engineering company. Database development & cross platform client/server specialists utilizing Oracle, Sybase and 4th Dimension information systems. IA Interior Architects is the largest employee-owned architecture firm focused exclusively on interiors. :MINT aligns brands with business objectives through intelligent creativity. :MINT has offices located in San Francisco and New York, and has clients locally, nationally. At Opus Bank, they believe in their client's business' potential to achieve more. They offer a comprehensive suite of banking and financial services to fit the needs of any business. Since its inception, this reputable bank has stood by its mission of accelerating the vision of successful entrepreneurs and business leaders who have proven their ability and need a partner for growth. The Word & Brown General Agency provides brokers in California and Nevada with training, marketing, insurance sales and compliance support to power their business. Established in 2005, the CellTech Metals mission is to develop revolutionary lightweight metal solutions for the transportation and materials industries. Partnering with client teams, RGP solves problems, implements initiatives and helps drive change through all levels of businesses all over the world. This trusted firm offers integrated services across the full range of business disciplines, bringing deep expertise and proven methodologies developed over years of functional and managerial experience. They help business operate more efficiently and achieve sustainable success. Protiviti offers consulting solutions in finance, technology, operations, data analytics, governance, risk and internal audit. Meyers Nave is a full-service law firm that offers comprehensive legal services such as transaction, litigation and regulatory advice and counsel to public, private and non-profit organizations throughout California. Many of their attorneys and practice groups receive local, state and national recognition for leading-edge expertise and outstanding results. LECG Corporation offers management and legal consultancy services. The company conducts economic, financial, accounting, and statistical analyses to provide objective opinions and strategic advice to legislative, judicial, regulatory, and business decision makers. It operates in two segments, Economics Services, and Finance and Accounting Services. The Economics Services segment offers services in the areas of energy, environment, and natural resources; merger reviews, monopolization claims, cartels, and quantification of damages; litigation support, independent expert testimony, and business advisory services, including issues of statistical liability in discrimination, wrongful termination, and wage and hour claims; telecommunications, transportation, and financial claims; and allegations of securities fraud, valuation of complex securities, and capital market transactions, such as mergers and acquisitions. The Finance and Accounting Services segment provides electronic discovery, financial services, forensic accounting, healthcare, higher education, intellectual property, and international finance and accounting services. LECG Corporation was founded in 1988 and is based in Devon, Pennsylvania. LECG Corporation is a former subsidiary of Navigant Consulting Inc. The award-winning Riverside Unified School District (RUSD) is the 15th largest school district in California, serving nearly 42,000 students in 50 schools in Riverside. This reputable District also serves a large portion of the Riverside as well as the unincorporated areas of Highgrove and Woodcrest. Riverside Unified School District offers numerous programs for students growth and preparedness, including AVID elementary, middle and high school programs, International Baccalaureate programs, Dual language immersions schools, and a full ST E. M Academy. Swinerton Builders is a commercial construction company that provides services in the Western United States for commercial office, retail, multi-family residential, hospitality, healthcare, education, and the entertainment sectors. With a robust portfolio of distinguished schools, state-of-the-art facilities, and highly qualified staff, the Sequoia district is committed to ensuring all students are engaged and prepared to excel in a 21st century global society. Citizens Business Bank provides the financial tools small to medium-sized businesses need to thrive. Luce, Forward, Hamilton & Scripps LLP or Luce Forward, founded in 1873, was a law firm headquartered in San Diego, California. Vanir Constuction Management, a subsidiary of The Vanir Group of Companies, provides project development services nationwide in the K-12 education, justice facilities, public buildings, healthcare, higher education, water/wastewater, aviation, transportation markets. It has a team of architects and engineers, designated design-build professionals, certified project management professionals and licensed general contractors that make a total of 360 people. Vanir was founded in 1980 and is headquartered in Sacramento, California with offices in Washington, Oregon, Northern and Southern California, Arizona, Nevada, Colorado, Texas, Louisiana, and Virginia. Robert Half, most recently, Robert Half International, is an American human resource consulting firm based in Menlo Park, California. It is a member of the S&P 500, and is credited as being the world's first and largest accounting and finance staffing firm, with over 325 locations worldwide. In 2009, the company was ranked first in the temporary help industry on Fortune magazine's list of World's Most Admired Companies, and was ranked 9th by global staffing revenue. Headquartered in Sacramento, California, Porter Scott has been handling civil litigation since 1976. For 40 years, Porter Scott has advised, protected, and litigated on behalf of their clients. This reputable firm has particularly expansive experience several practice areas including ADA accessibility, business and real estate, education, employment, police practices, personal injury, public entities, premises liability, heathcare, professional liability, and more. Alhambra Unified School District has 19 schools in Alhambra, California. Fairfield Residential is a full-service, multi-family real estate company, specializing in development, acquisitions, property renovations and management and more. Marcus & Millichap is the largest national commercial real estate brokerage firm specializing in real estate investment services with nearly 1,500 investment professionals. Experience the difference, profit from the results. We are a leading CPA Firm with offices across the country.Visit www.novoco.com to learn more. Central Pacific Bank provides a full range of banking, investment and trust services, with a passion for serving our customers and communities. They are a national provider of risk management solutions for the worker's compensation, health, and disability management and industries. They provide their clients with the information and insight they need to make a smart decision. They believe that together, they can make better results.